Diving into the world of medical marijuana can be daunting. While cannabis for medicinal purposes is now legal in 30 states, medical marijuana is far from being a universally accepted medicine. This means the process of getting licensed can be difficult. But don’t worry, it’s not impossible. And with this guide, you’ll learn everything you need to know about finding a marijuana doctor. Before we get started, however, it’s important to mention that what conditions qualify for medical marijuana change from state to state. It’s therefore critical that you check that your particular condition qualifies for medical marijuana where you live. You can do that here. If your condition does qualify, then congratulations, cannabis relief is just around the corner. Before you go looking for a medical marijuana doctor, first you should approach your primary physician. In a perfect world, if you had a qualifying condition and wanted to try cannabis as a medicine, then you would simply ask your regular doctor for a referral. They would then point you to a good weed doctor to prescribe you cannabis, and take care of all the paperwork too. Unfortunately, how likely this is to happen depends on where you live. Physicians in states like California and Colorado, where medical cannabis is relatively normalized, will likely be more open and knowledgeable about cannabis’ therapeutic benefits, and therefore be more willing to provide you with a referral. We live in an imperfect world, however, and differing attitudes around the country, coupled with cannabis remaining a federally illegal substance, means that many regular doctors will be reluctant to provide you with the referral you need. In this case, you will have to find a good medical marijuana doctor yourself. 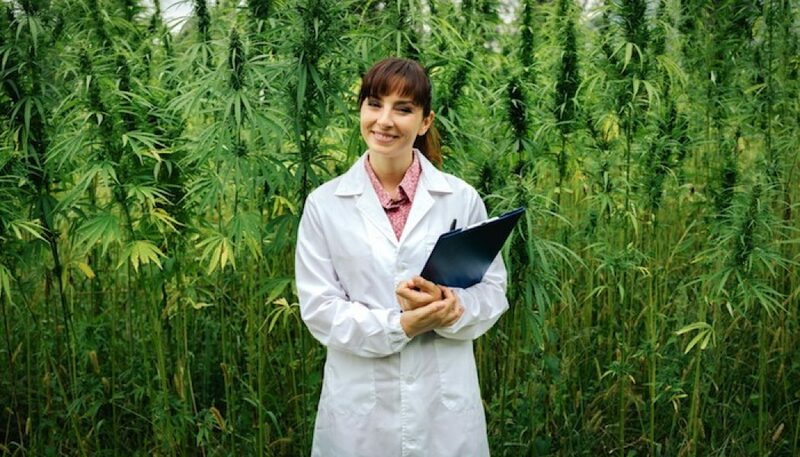 So, what should you look for in a weed doctor? The same qualities as any doctor: knowledge, understanding, and professionalism are musts, but most likely how you choose will come down to how you connect on a personal level. Go for a consultation, and if you don’t feel comfortable then try another. There are always other options. Can I Trust A Weed Doctor? With cannabis remaining a Schedule 1 substance federally, regulation surrounding the herb have been left to individual states. That means there can be some disparity in the quality of not just cannabis as a whole but of medical weed doctors too. But is it really the wild west out there? Can you trust a weed doctor? Absolutely. While certification may vary, one requirement of all cannabis doctors is that they are licensed, medical professionals. So, you can be sure that your weed doctor is a real doctor, and not some quack in a white coat. While a doctor’s recommendation is all you legally require to access medical marijuana, as far as dispensaries are concerned, a medical marijuana card has become the de-facto proof that it is legal for them to sell you cannabis. Therefore, yes, you will need one in order to buy medicine from a dispensary. So, how do you get a medical marijuana card? The process is a simple online application if your primary physician refers you to a weed doctor. But if not, then you’ll have to jump through a few hoops before you can get your golden ticket. In order for your marijuana doctor to evaluate your condition and give you a doctor’s recommendation, they must have access to your medical records. If your regular doctor has been uncooperative with a referral, then you’ll have to request your medical records yourself. The good news is that you have a federal right to do so. The exact process will be different from hospital to hospital, practice to practice, but generally speaking, you will need to fill out some paperwork and pay a fee. This will be the trickiest part of the process, but as long as you follow the given protocol, you should have your medical records released to you. Your MMJ doctor will then provide everything you need to apply for a medical marijuana card. Again, applications will be different in every state, but generally speaking, a qualifying condition, a doctor’s recommendation, and proof of residency should be all you need to apply for a medical marijuana card. Once you have that, you’re free to visit a dispensary and purchase medical marijuana completely legally. So, where exactly are the weed doctors near me? Again, this depends on where you live. It will come as no surprise that in more populated areas there will be an abundance of doctors, clinics and dispensaries for you to explore. But in many areas of the country, medical marijuana isn’t as visible, so you may have to do some investigating. As always, the internet comes to the rescue, so you can check out marijuanadoctors.com, you can find out what the qualifying conditions for medical marijuana are in your state, and also search your local area for a reputable MMJ doctor or clinic.